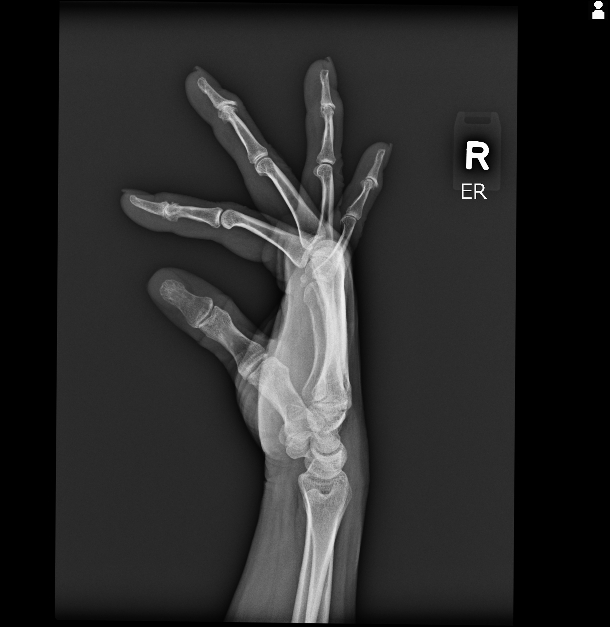 X-Rays are used to diagnose a wide range of injuries and illnesses including broken bones, cancer, and other abnormalities. 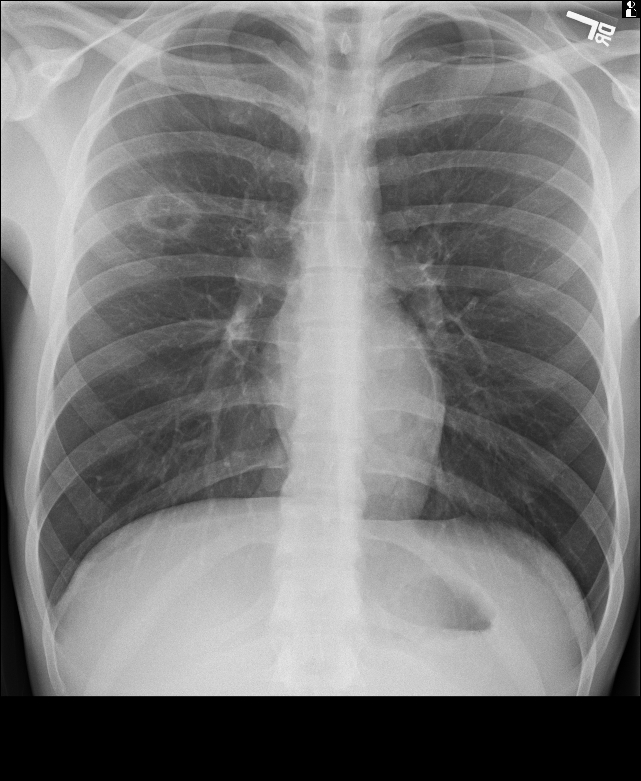 Safe, low-doses of X-Ray pass through the body and produce an image on a computer screen. 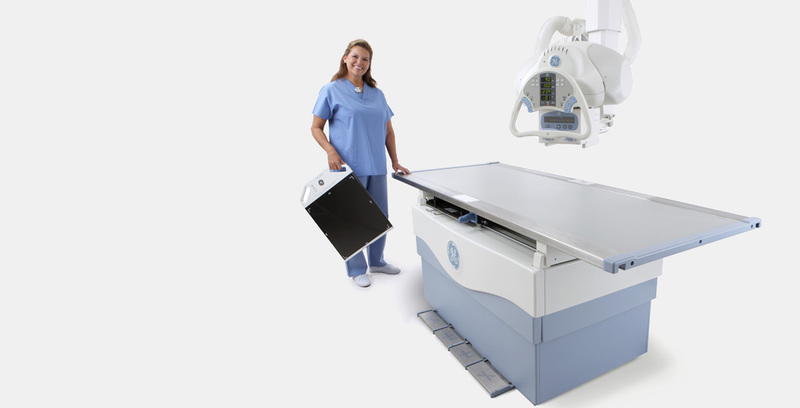 The recently installed GE Proteus XR is a full featured radiographic system. The elevating table helps ensure patient comfort when getting on and off the table. The four way floating tabletop helps speed patient positioning. Overhead tube support can be rotated to adjust to off table positioning. The Proteus XR system has been engineered to provide consistently excellent image quality and low dose imaging study after study. X-rays are a form of ionizing radiation that was first discovered by William Conrad Roentgen in 1895. A beam of X-rays can be produced by bombarding a tungsten target with a stream of electrons, inside an X-ray tube. 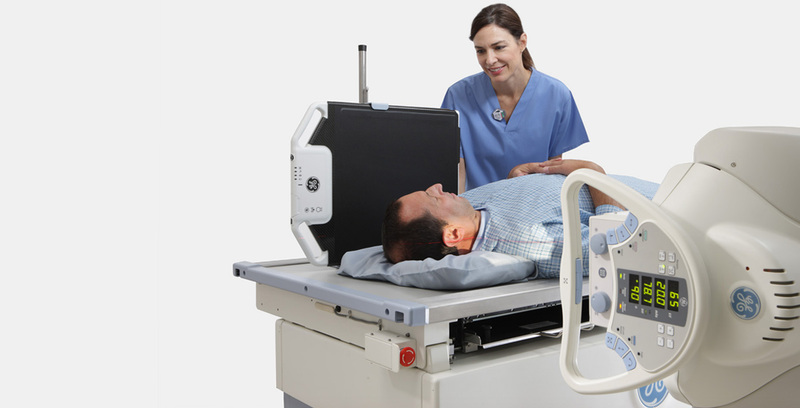 The X-ray beam can penetrate through the body, exposing a wireless detector which records the image immediately on a high definition computer screen. 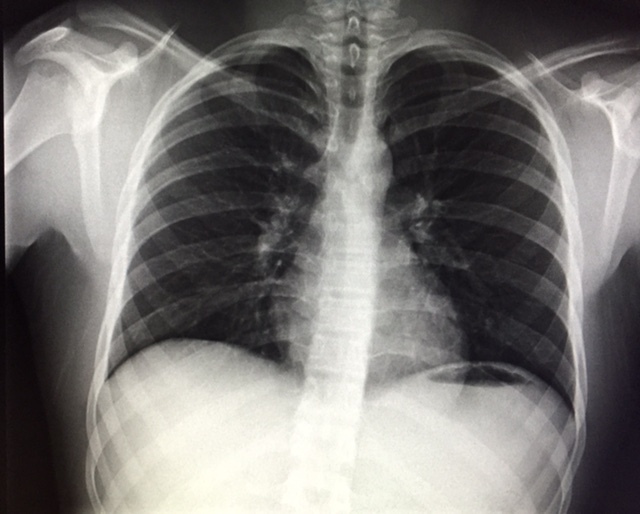 On an X-ray, the lungs are easily seen because they contain air, allow most of the X-ray beam to pass through, and appear dark on the images. Bones are clearly seen for the opposite reason: they absorb most of the X-ray beam that strikes them, and appear white on X-ray images. Digital technology replaces the need for film. There is an increased ability to manipulate the images (for example, magnification and contrast adjustment), decreasing the need for additional views. The images can be burned onto a CD for patient convenience. 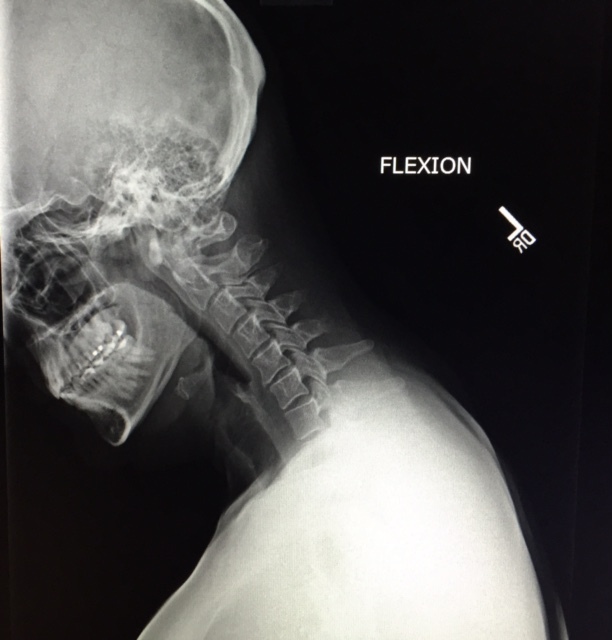 What happens during an X-ray examination? Because X-rays are a form of ionizing radiation, women will be asked for a menstrual history to determine if there is any possibility of pregnancy. Because this is such sensitive digital imaging, you will be asked to change into a gown before your exam. The examination may be performed while you are standing (chest X-ray), sitting (hand), or lying on an examination table (abdomen). Most reports are available within 1 business day or less, and are accessible through our Patient Portal..